A man accused of two assault charges has been cleared at Selkirk Sheriff Court. Peter Morey, 20, had denied assaulting a man and a woman near his Dalatho Crescent home in Peebles on June 8. He also pleaded not guilty to threatening or abusive behaviour and possession of an offensive weapon, namely a knuckleduster. After witnesses failed to appear for a trial diet, the prosecution decided not to offer any evidence against him, leading to Morey being found not guilty. 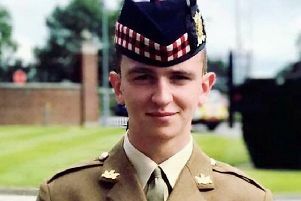 His co-accused Valentino Cariello, also 20, of Gilmerton Dykes Drive, Edinburgh, was also cleared after denying assault.